In March 2012, the Department for Communities and Local Government (UK) produced a heritage policy framework for local councils to use when assessing heritage projects similar to our local DA submission in NSW, Australia. The policy framework is an excellent example of what could be adopted by local government in NSW as a balanced assessment process for all DAs involving cultural built heritage. opportunities to draw on the contribution made by the historic environment to the character of a place. When considering the designation of conservation areas, local planning authorities should ensure that an area justifies such status because of its special architectural or historic interest, and that the concept of conservation is not devalued through the designation of areas that lack special interest. In determining applications, local planning authorities should require an applicant to describe the significance of any heritage assets affected, including any contribution made by their setting. The level of detail should be proportionate to the assets’ importance and no more than is sufficient to understand the potential impact of the proposal on their significance. As a minimum, the relevant historic environment record should have been consulted and the heritage assets assessed using appropriate expertise where necessary. Where a site on which development is proposed includes or has the potential to include heritage assets with archaeological interest, local planning authorities should require developers to submit an appropriate desk-based assessment and, where necessary, a field evaluation. Local planning authorities should identify and assess the particular significance of any heritage asset that may be affected by a proposal (including by development affecting the setting of a heritage asset) taking account of the available evidence and any necessary expertise. They should take this assessment into account when considering the impact of a proposal on a heritage asset, to avoid or minimise conflict between the heritage asset’s conservation and any aspect of the proposal. Where there is evidence of deliberate neglect of or damage to a heritage asset the deteriorated state of the heritage asset should not be taken into account in any decision. The principles and policies set out in this section apply to the heritage-related consent regimes for which local planning authorities are responsible under the Planning (Listed Buildings and Conservation Areas) Act 1990, as well as to plan-making and decision-taking. the desirability of new development making a positive contribution to local character and distinctiveness. When considering the impact of a proposed development on the significance of a designated heritage asset, great weight should be given to the asset’s conservation. The more important the asset, the greater the weight should be. Significance can be harmed or lost through alteration or destruction of the heritage asset or development within its setting. As heritage assets are irreplaceable, any harm or loss should require clear and convincing justification. 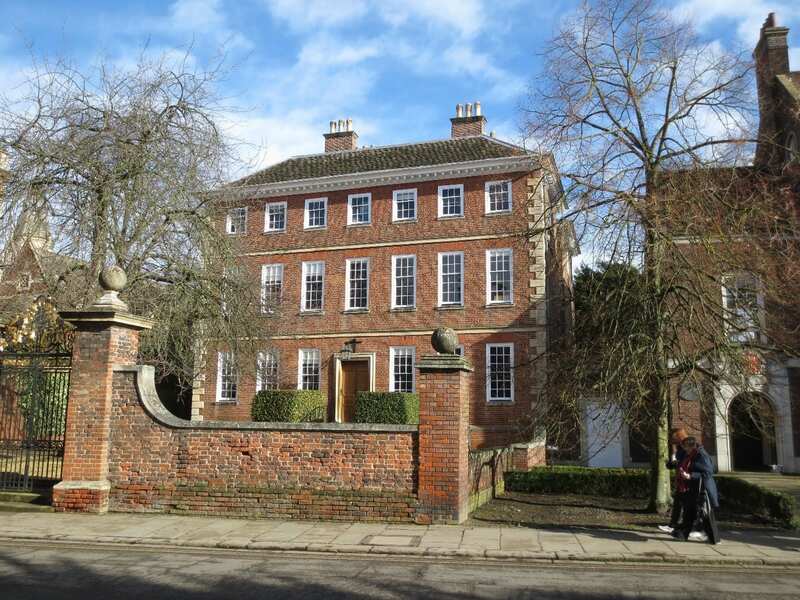 Substantial harm to or loss of a listed building, park or garden should be exceptional. Substantial harm to or loss of designated heritage assets of the highest significance, notably scheduled monuments, protected wreck sites, battlefields, parks and gardens, and World Heritage Sites, should be wholly exceptional. the harm or loss is outweighed by the benefit of bringing the site back into use. Where a development proposal will lead to less than substantial harm to the significance of a designated heritage asset, this harm should be weighed against the public benefits of the proposal, including securing its optimum viable use. The effect of an application on the significance of a non-designated heritage asset should be taken into account in determining the application. In weighing applications that affect directly or indirectly non-designated heritage assets, a balanced judgement will be required having regard to the scale of any harm or loss and the significance of the heritage asset. Local planning authorities should not permit loss of the whole or part of a heritage asset without taking all reasonable steps to ensure the new development will proceed after the loss has occurred. Local planning authorities should look for opportunities for new development within Conservation Areas and World Heritage Sites and within the setting of heritage assets to enhance or better reveal their significance. Proposals that preserve those elements of the setting that make a positive contribution to or better reveal the significance of the asset should be treated favourably. Not all elements of a World Heritage Site or Conservation Area will necessarily contribute to its significance. Loss of a building (or other element) which makes a positive contribution to the significance of the Conservation Area or World Heritage Site should be treated either as substantial harm under paragraph 133 or less than substantial harm under paragraph 134, as appropriate, taking into account the relative significance of the element affected and its contribution to the significance of the Conservation Area or World Heritage Site as a whole. Non-designated heritage assets of archaeological interest that are demonstrably of equivalent significance to scheduled monuments, should be considered subject to the policies for designated heritage assets. Local planning authorities should assess whether the benefits of a proposal for enabling development, which would otherwise conflict with planning policies but which would secure the future conservation of a heritage asset, outweigh the disbenefits of departing from those policies. Local planning authorities should make information about the significance of the historic environment gathered as part of plan-making or development management publicly accessible. They should also require developers to record and advance understanding of the significance of any heritage assets to be lost (wholly or in part) in a manner proportionate to their importance and the impact, and to make this evidence (and any archive generated) publicly accessible.30 However, the ability to record evidence of our past should not be a factor in deciding whether such loss should be permitted. Reference: National Planning Policy Framework, Department for Communities and Local Government (UK) - March 2012.